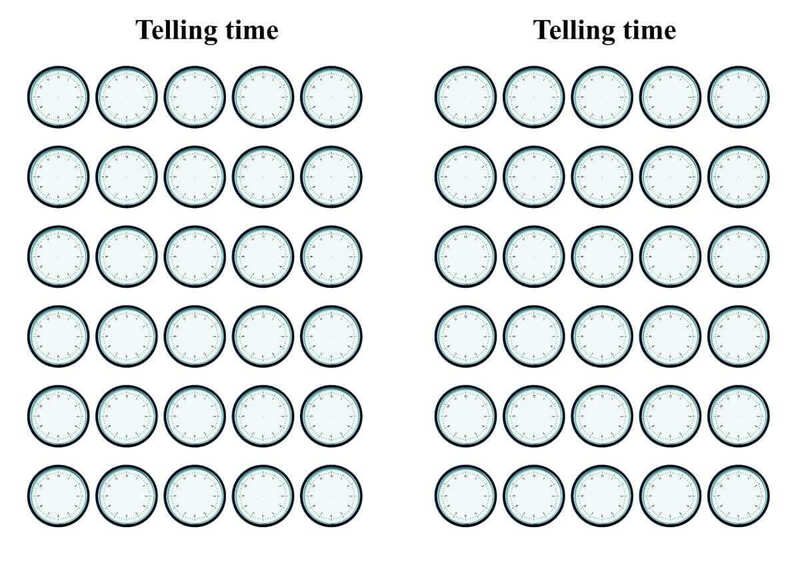 A few days ago Tekhnologic published a wonderful post on Telling time in English. What I liked immediately was the powerpoint presentation which was capable of showing the time on a clock with hands. I asked for a permission to modify the presentation and use it on my blog which was kindly granted. In this post you can see the result of the cooperation between Engames and Tekhnologic. The post contains the modifie powerpoint presentation, a video, a mind map and a quiz to help you teach telling time in English. 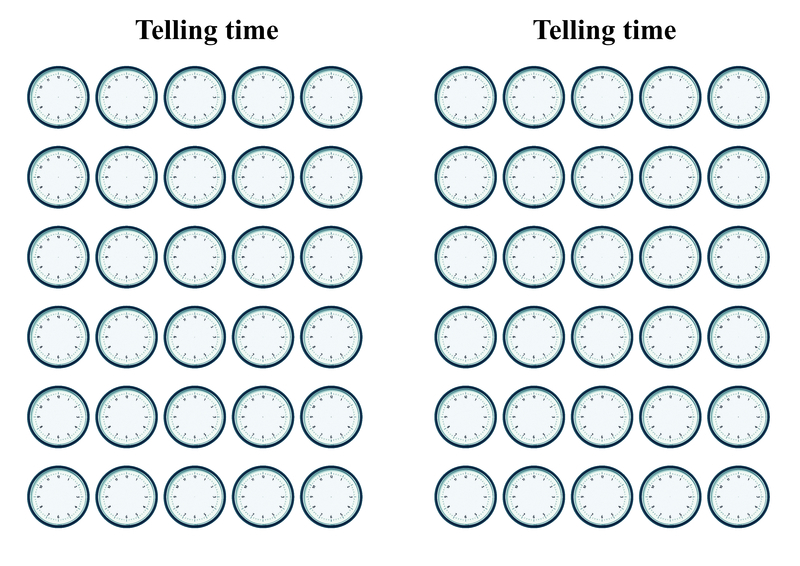 I have created the following infographic for the post the first post on telling time. As it proved incredibly useful form my students I will place it here again. Print out the image and hand it out to your students and teach them how to use it. 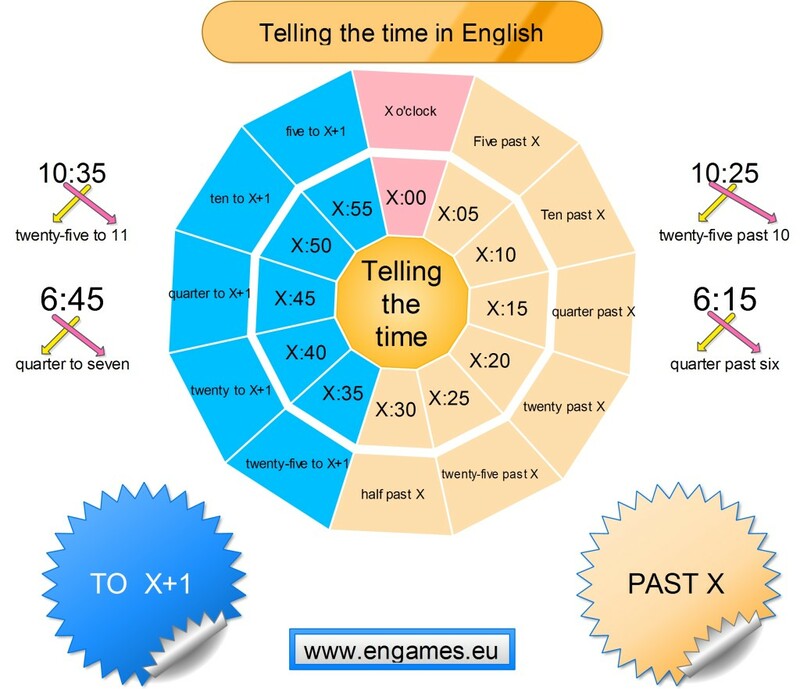 You can find the details how to use the infographic at Telling time in English. And now comes the time to use the awesome powerpoint by Tekhnologic. It is superb for checking that the students understand how to say the time. You can dowload either the Powerpoint presentation or you can use the HTML5 one and use it online. It is up to you. I suggest the following way to use the presentation. First use the first slide and demonstrate the times by clicking the buttons on the right. Emphasize that if you click a blue button you have to choose the hour-1. Once you feel that your students understand the concept hand out the following worksheet. Now display the second slide and ask the students to draw the hands into the worksheet. Then ask one of the students to click the right time on the screen. The others check their answers. Go on like this with all the other slides but the last one. The last slide should serve as a way of practising. You can make up a time and then display it on the last slide. Or you can ask the students to work in pairs and make up some times and then dictate them to their partners who should draw the hands into the worksheet. It is up to you. You will find some more wonderful ideas at Tekhnologic website here. The following quiz is in HTML5 and your students can do it either at school or at home or on their mobile devices. The quiz will play on all of them. Click the buttons below and then you have to click on the two correct hands to form the given time. I seldom append my posts, but this time I felt that I have to add an activity. After doing all the activities above in my class, I realised that I would love to have there a simple quiz which all the students could do. So I created the following video. Print the picture with the clock dials and ask the students to watch the video and draw the hands. There are sounds which tell the students when a new time appears and when they can check their solutions. The activity went really well. I hope you will find it useful too. You can find several extremely useful activities at British Council site. Enjoy.